This afternoon was planned to be easy walk to Gallery Kolvićevi Dvori to see exhibit of Nikola Reisner retrospective. This is the story about a bug that I found at Zagreb historical site. On my way to the gallery, I discovered Grič park. Park location was Gradec cemetery, so it was needed to do archeological work prior to park renovation. At historical sites, I always like to read the information tables. 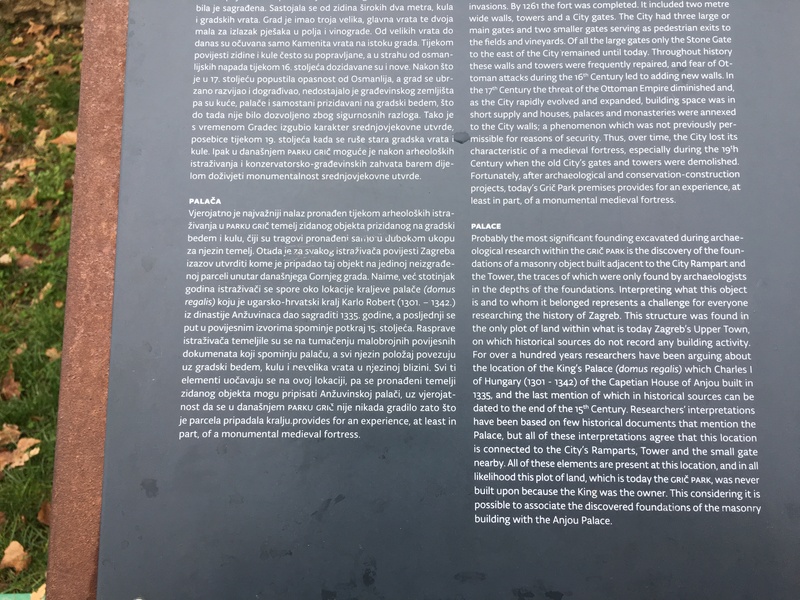 Park Grič has table text both in English and Croatian. I found a bug in this table. Can you spot it? Table has information about the Anjou Place. Croatian is on the left side, and English is on the right side. This table has several topics. 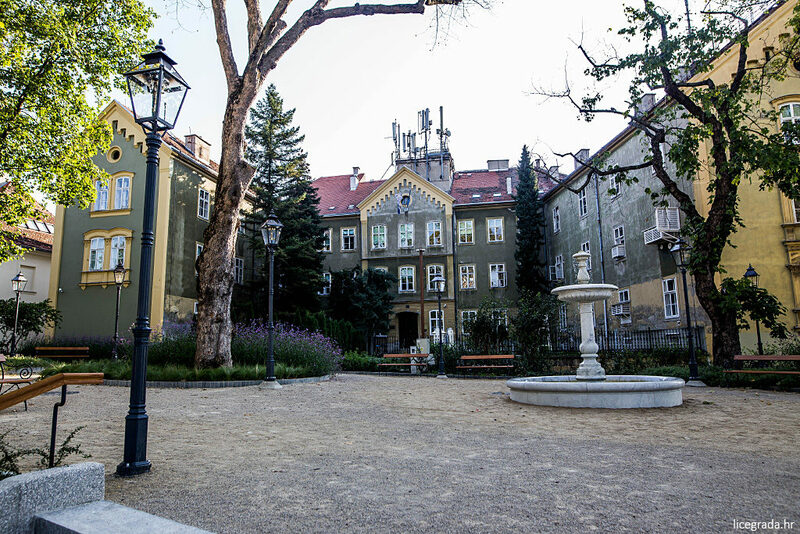 Croatian text about the palace is finished in English. That English text is translation of end of first paragraph written in Croatian. You can find same english text on the right side, at the end of first paragraph. Well, in this context, to many people. 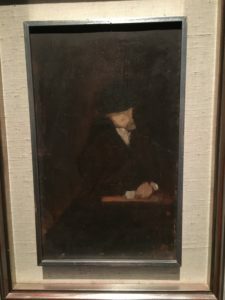 In the Tavern was his first painting. In Veli Lošinj I spent my best summers. Me and my friends were fishing at this small peer. This is fisherman’s part of town, smaller and much quieter. 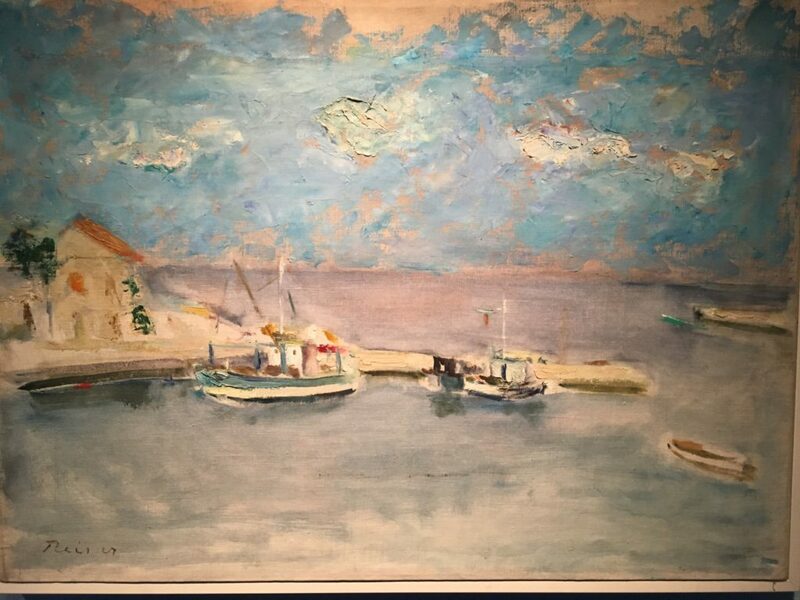 The painting was done in 1986, the year when I spent my summer break in Veli Losinj :).